The Chesapeake Bay Trust and Groupon Grassroots (grassroots.groupon.com), the philanthropic arm of Groupon, announce the launch of a local campaign to provide life changing, outdoor experiences for area students to teach them about their natural world outside of the classroom. The Teach Kids about Nature campaign will be available on the Washington, D.C. Groupon Grassroots website beginning Tuesday, December 25 and running through Wednesday, January 9. Utilizing Groupon Grassroots’ collective action model, Groupon subscribers can pledge support for the Teach Kids about Nature initiative in increments of $10 with each $10 donation providing one child with a life changing, outdoor experience. Every year, the Chesapeake Bay Trust sends more than 60,000 students on outdoor field experiences that engage students in the environment to teach them about the natural world. These experiences allow students to learn through real world applications about their environment, the Chesapeake Bay, and local communities. Studies have shown that by engaging students outside the classroom, they are more likely to retain the knowledge they learned, while also improving performance in traditional educational arenas, like science, math and reading. 100% percent of the Groupon Grassroots campaign proceeds will be used to give students the opportunity to have a meaningful outdoor watershed experience. 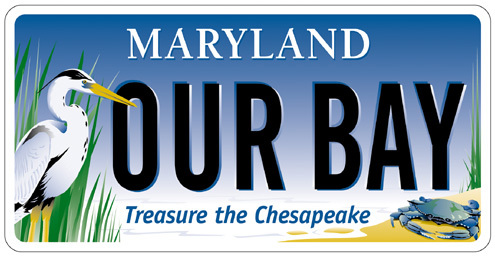 In 2012, funded mostly through the purchase of the Maryland’s Treasure the Chesapeake license plate program, the Chesapeake Bay Trust awarded 322 grants totaling $5.8 million throughout the Chesapeake Bay region. These projects and programs helped restore Maryland’s shorelines, educate schoolchildren about the environment, green area neighborhoods and clean-up local rivers and streams. In total more than 110,000 Maryland students, teachers and volunteers participate in Trust-funded programs each year that are having a measureable impact on improving the Chesapeake Bay and its rivers and streams. Find out more at www.cbtrust.org. Tags: Chesapeake Bay, Chesapeake Bay Trust, Education, Groupon, Maryland, Nature, Student, Washington D.C.